Over the winter break, I visited my relatives back in Hong Kong. Someone decided to have a little stay in the little island of Macau, a romantic area populated with the glitz of Vegas, the rural areas of a scenic Portuguese hill, and the humble panache of Hong Kong. Lying in that area is a tricky street circuit, famous for its F3 and motorcycle races. There's a cool museum about this very track, and I went in there with some horribly white-unbalanced photos (learning how to manually adjust WB without a grey card lands you in ugliness). Here's a collection of stuff. 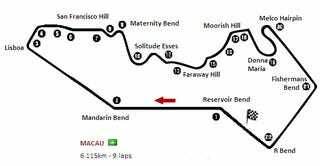 It all started in 1954, when the first Macau Grand Prix started as a treasure hunt around the city. The committee had noted that the road conditions were pretty bad, what with dirt and stones and all. Eduardo de Carvalho's Triumph TR2 is the first winner. Pictured is the said Triumph. There are quite a few gems in the museum, like this Lotus 22 that Dodgie Laurel drove to victory in for '62 and '63. He sadly died in '67, skidding his Lotus 41 out of control at the Macau Grand Prix. I'm lead to believe this is his F3 helmet. Or not. His setup. It's weird how his racing uniform looks pretty similar to his McLaren F1 kit. Or not. 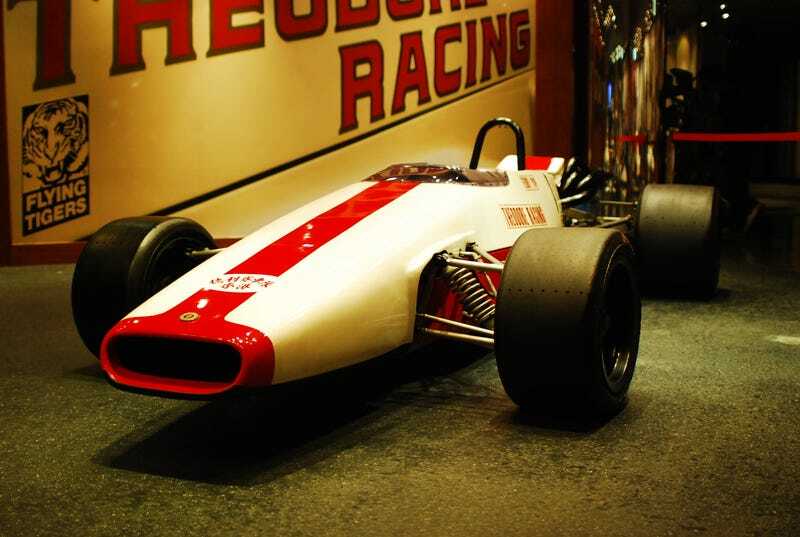 This right here is Schumacher's Reynard 903, the one he drove to victory in 1990. Unlike the booth with Senna stuff there wasn't too much about Schuey. Here's the '91 winner of the Macau Guia race, the M3 driven by Emanuele Pirro, who today resides in Monaco. This has the best lighting in the museum. Chas Mortimer '76 Yamaha motorcycle that won. I didn't get much pictures of the bikes, but they were there and they were part of Macau's history. Another pic alongside a red...motorcycle. The '76 was way cool though. Pedro Lamy's 2nd place car from '92. Apparently he was important enough to have a display right beside the Senna booth. Some demonstration on how pit stops and film crews interact with the race. There's a lot of mannequins. Anyway, that sums up most of the historically significant parts of the pictures I have. If you want more, you can check out my photoset here. There are dupes though. Have a safe weekend, comment, critique, and have fun.